A small sedan was travelling at a high rate of speed on Weir Canyon Dr toward a dead-end and flew off the side of the hill. 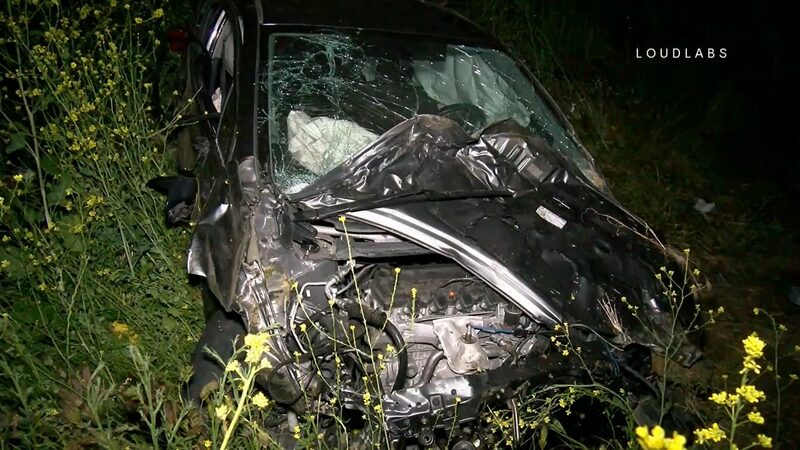 A witness reported the crash which occurred at 4:13 am that a car was travelling about 100 mph and crashed into the hill at the end of the road, sending the car into the air before landing about 300 feet away from the initial impact at the dead end. Paramedics and police arrived shortly after receiving the call and took two males to a local hospital. Anaheim police are investigating as a possible DUI.